BirdLife International. Threatened Birds of Asia: BirdLife International Red Data Book. Cambridge, United Kingdom: BirdLife International, 2001.
del Hoyo, J., A. Elliott, and J. Sargatal, eds. Handbook of the Birds of the World. Vol. 6, Mousebirds to Hornbills. Barcelona: Lynx Edicions, 2001. Kemp, A. The Hornbills. Oxford: Oxford University Press, 1995. Poonswad, P., ed. The Asian Hornbills: Ecology and Conservation. Bangkok: Thai Studies in Biodiversity, 1998. Anggraini, K., M. Kinnaird, and T. O'Brien. "The Effects of Fruit Availability and Habitat Disturbance on an Assemblage of Sumatran Hornbills." Bird Conservation International 10 (2000): 189-202. Hadiprakarsa, Y., and M. Kinnaird. "Foraging Characteristics of an Assemblage of Four Sumatran Hornbill Species." The Third International Hornbill Workshop Abstracts. (2001). Hornbill Research Foundation, Bangkok, Thailand. Relationships in Hornbills (Aves, Bucerotiformes): Inferences from Nucleotide Sequences from the Mitochondrial Cytochrome b gene." Journal für Ornitologie (in press). Klop, E., T. Hahn, M. Kauth, S. Engel, L. Lastimoza, and E. Curio. "Diet Composition and Food Provisioning of the Visayan Tarictic Hornbill (Penelopides panini panini) During the Breeding Season." Ecololgy of Birds 22 (2000). 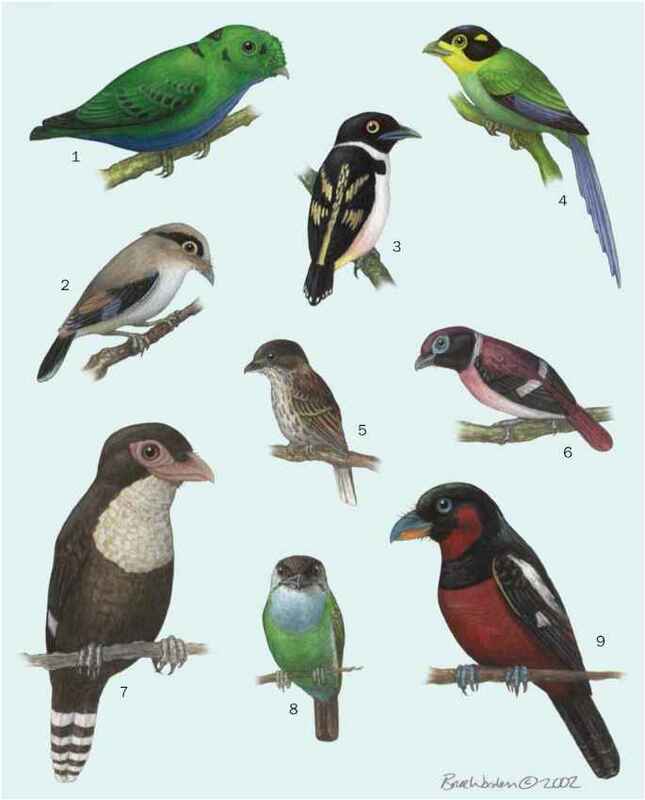 Coraciiformes Taxon Advisory Group. "Hornbills." <http:// www.coraciiformestag.com> (1 June 2001). Threatened Birds of Asia. The BirdLife International Red Data Book. "Threatened Bird Species Account." <http:// www.adb.or.id/> (10 June 2001).